The subject of title verification is very important for anybody buying a property, particularly in Goa due to the Portuguese legacy, left property issues and property inheritance laws, which make the process lengthy and not easy, leaving a lot of space for unscrupulous dealers. In many cases you have to dive deep into the local archives, checking for any claim/challenge possible on your chosen property in the future. It is not merely examining the title record, but also tracing of the genuineness of the documents, identification of the property and notification in a newspaper. The title ideally has to be checked until 30 years before its date in order for it to be indisputable. If during this period, the ownership was changed and any questions/doubts towards the title remain, a further 30 years from the transfer date should be reviewed and so on until one obtains the desired result. If there is still a doubt in the title ownership of the desired estate, it is better not to rush into the deal as your property rights can be called back in the future, which may result in monetary and time loss, while the property is under arrest. It is obligatory to take guidance from a reliable lawyer in the title verification process. Nevertheless, you should also know the logics of title clearance yourself, to make sure that you follow the process and understand what your lawyer does. It can be a POA (Power of Attorney), or MOU, or Agreement to Sell, or Deed of Sale, or it can also be a family inherited property. It’s important to know if the property is transferred in the Land and Revenue Department in the names of the owners or not i.e if the mutation has been carried out or not, and if any POA was taken from the previous owners for transfer of ownership/rights, mutation, development or any other reasons. The POA should be carefully examined by your lawyer to see if the principal who has executed the power is indeed the property owner. Another thing to be careful while examining a POA is that the purpose for which it is given, can or has been carried out in its validity. It remains valid as long as it is not revoked or until the person giving the power of attorney is living. Otherwise it ceases to exist. Once it is clear if it is an ancestral property or a self-acquired property, review all the previous deals (possession, inheritance, settlement, will, sale, mortgage, release, gift, etc) until finally the root title (initial title holder) is established, or at least until you get 30 years of unchallenged possession in favour of a set of owner/s and establish that the transfer further from them was legal. Finally, gather the information regarding the present owner/s: his/their identity, how the property was acquired, what title deeds and supporting documents are held. Remember that in Goa though sale deed is an adequate conveyance of title, mutation is a legal necessity. Therefore, the person in whose name the mutation stands is considered the owner and his title will be investigated as well as his right to sell being established, only then any subsequent document can have validity. Especially if the/any owner/s is deceased or married and/or a spouse is living or deceased. If they are majors, their presence while executing the deed of conveyance must be insured, or proper legal documents/POA may be drawn to allow exemption of presence or their representation. If they are minors, the seller has to get permission from the court before executing the deed. Ask your lawyer to request the vendor for the inventory proceedings or succession certificate and obtain the family genealogical tree. If necessary, ask for the family ration card for further clarification along with a declaration. The survey plans and I and XIV Form (Handwritten from either panchayat or talathi) should clarify this, or a certificate from mamlatdar can be obtained in case of doubt. If there have been any tenant/s or mundkar/s (caretakers as per Goan law), they are your liability unless cleared legally before execution of conveyance. If the owners claim that they have been settled/cleared, then establish the legality of that claim as someone could claim rights on the land unless proper documentation /deeds is maintained, and in case of tenancy, court permission or orders are provided. This is the norm to establish ownership unless a succession deed is drawn up. Your lawyer will check for inscription and description documents (land describing records), which can be obtained from the archives as far as possible, unless records are non-traceable or not compiled for the area by the Revenue Department. These documents and the ones above are left to us from Portuguese times and describe a given piece of land with reference to its location, boundaries and ownership. They can be ignored if the Revenue Department declares that records are unavailable or not compiled for that area. Deed of conferment might be available if the property was originally a grant or lease given by the Portuguese. Old title deeds may be applicable if the title has changed hands a number of times. Get to know the borders of the site on the larger plot by reviewing partition documents. Unless a separate survey/sub-division number has been allotted to the property and a plan can be obtained from the Land and Survey Department. Also remember that new land regulations do not allow division of land into sections of less than 200 sq mtrs, though there are some old properties smaller than these, which are legal. Sometimes court orders have allowed partition and mostly these are considered adequate. Check the house tax receipt or the house number, no dues certificate from excise, panchayat, electricity and water departments as well as payment of taxes such as infrastructure, construction fees and conversion fees. It is necessary to establish the access to and from the property as sometimes there might be legal issues. Opt for checking the history and lawful ownership rights of a seller-company, so there is no possibility of future claims on your purchased real estate site. Check if the company’s owner has Indian citizenship. If it is a company owned by a foreign national, then check for the proper company’s registration process, following all the rules, including if any notice under FEMA (Foreign Exchange Management Act)/FERA (Foreign Exchange Regulation Act) violations was served to the company, and if all relevant permissions to sell the holding before the sale deed are taken. If there is any document missing, the company or foreign direct investment is not properly registered, your rights on the property are potentially under threat of being stopped and reviewed, which could take a while. · Articles of Association and Memorandum. · Permissions sought, if foreign investment route was taken. · Clearance to sell the holding (in case of any non-Indian co-owner). · Clearance from RBI and, if applicable, if RBI clearance was also acquired when buying the property. · Resolution of company authorising the sale of the property. If applicable, also check if this procedure was followed by the current seller, while buying the property. Check the permissions granted to the seller to construct the project and adherence to the norms while building it. Ensure that the building has not been served with a demolition notice. NA i.e. ; valid conversion to non-agriculture (also called sanad in Goa) land and construction license (during and after construction to establish if it is legal). The completion certificate (from architect/charted engineer) and occupancy certificate from the panchayat or municipal body, after construction and possession has been granted. One should verify if the property is free of debt. If a loan has been raised over the property and is not discharged, it is an encumbrance. Apply to the sub-registrar for an encumbrance certificate to find out if a property is under any liability. A nil encumbrance certificate is issued in case of a zero liability transaction, though it is prudent to remember that people sometimes do not register such liabilities and sometimes there may be agreements/MOUs/leases/grants/allowances,etc. Therefore it is incumbent upon the buyer to thoroughly investigate. 1. Obtain title certificate from a competent lawyer, valuer or other authority. Be patient or you may pay hard for it in the future. 2. Normally, if the property has approval for a loan from a reputed bank, the title is considered to be verified and clear, but to purchase such property which has outstanding or paid up loan, a no dues/objection certificate should be obtained from the bank, unless the loan approval is for you to purchase the property. 3. Save all the original/certified copies of the reviewed documents. It will be a tremendous help in case you want to sell your property in the future. 4. It is recommended to publish a notice in a leading English or local daily, although it is not obligatory. Even after studying all the documents, the lawyer may not be able to find out if the property is truly free from any claim. A notification in the newspaper might elicit a response from a genuine claimant. Therefore, it is one of the best ways to avoid legal problems for the buyer and it is better to incur small expenses today, than to lose your hard earned money in the future. 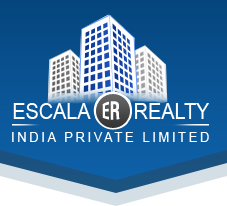 This entry was posted on June, 20, 2016 at 12 : 34 pm and is filed under Goa Real Estate. You can follow any responses to this entry through the RSS 2.0 feed. You can leave a response from your own site.